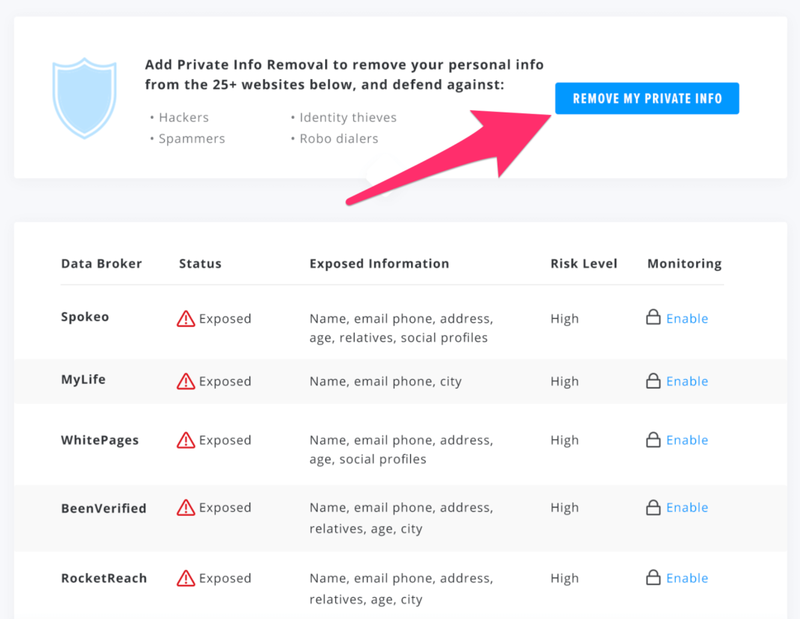 [Update]: We just launched a new tool that will automatically opt you out of Whitepages and 25+ other sites just like it. If you want to give it a shot click here and create an account. Going through the Whitepages opt out process is extremely important if you value your privacy. Your Whitepages listing makes your name and personal information readily available for anyone to see. Your name, address, phone number, email address, and more. All out there for anyone to see. You can see why plenty of people have an issue with it. However, most don’t realize that you can opt out and remove your listing from Whitepages without very much effort. Before we get into that, let’s dig into some of the details on how Whitepages works. This is extremely important if you want to understand how to secure a Whitepages opt out and protect your information from being found on other websites. Before you jump into opting out of Whitepages and removing your listing, it’s important to be aware of how they got it in the first place. Doing this will help you get a realistic understanding of how to protect your information going forward. Whitepages is not doing anything illegal in the pursuit of building up its database of information. This is a fairly common misconception that is floating around, so it makes sense to address that first. Plenty of people have wasted time and money trying to pursue legal action against the site for publishing their information, when they could have simply gone for a Whitepages opt out instead. You might not like what they are doing, but they are doing it legally. How does Whitepages get your information? Whitepages scours the web on an ongoing basis to find names and information to add to its database. They have invested a lot of time and money into this technology and it works extremely well. Phone companies are the most common source of the personal information you can find on the site. They have very large lists of consumers with their name, address, phone numbers, and email addresses all readily available. These are the main pieces of information that Whitepages goes after when creating a new listing for someone, so naturally they take advantage of this. Whitepages also looks at other sources when finding their info. Social media sites, third parties, and broadly indexed information on the web are all part of their sources as well. The advantage of this is it makes your Whitepages opt out a little easier since you will be able to identify your listing with more confidence. This is why opting out of Whitepages is absolutely necessary. Their technology is very efficient when it comes to aggregating information and populating listings, so blocking their sources is not a viable option. The first way that Whitepages uses your basic information is by making it publicly available to anyone who visits the site. It’s pretty common knowledge that Whitepages is a popular site. However, let’s run some numbers to really understand the reach we’re dealing with to better illustrate why opting out is so important. It’s estimated that Whitepages has over 30 million unique monthly visitors and they have information on roughly 90% of the US population. Not only that, but the information they have on the site is quite accurate. The combination of their popularity and technological ability to find information means two things: your information is most likely on the site, and it’s probably been seen by someone else. This makes completing the Whitepages opt out process even more important. However there’s another part of the company that many don’t know about, their background check services. Consumers aren’t the only ones that go to Whitepages for its information. Large companies like Intuit, Jetblue, and Lego all rely heavily on the Whitepages online database to provide them with tons of information about candidates under consideration for being hired. 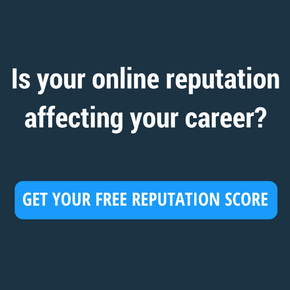 Businesses can also use this site to evaluate potential business partners, fact-check credentials, and implement fraud prevention services. It means if someone wants to do a deeper dive on your information other than the basics, Whitepages will do it for them. As a matter of fact, this is now their primary business model. While they used to rely heavily on ads, now they try to sell their background check services more aggressively. This means they are pushing more private info in the hands of other people. So, let’s get into the step-by-step process for removing a listing from Whitepages. 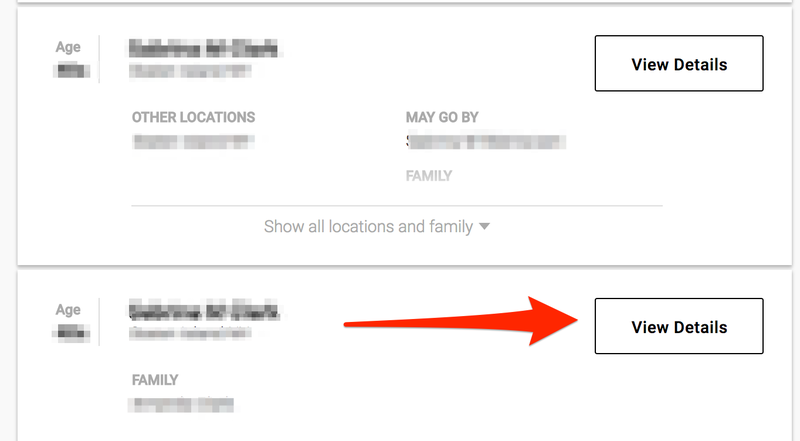 We just launched a new feature that will opt you out of Whitepages and 25+ other sites like it with just a couple clicks. This new feature is baked in to the existing software. If you don’t have a BrandYourself account yet you can sign up here. 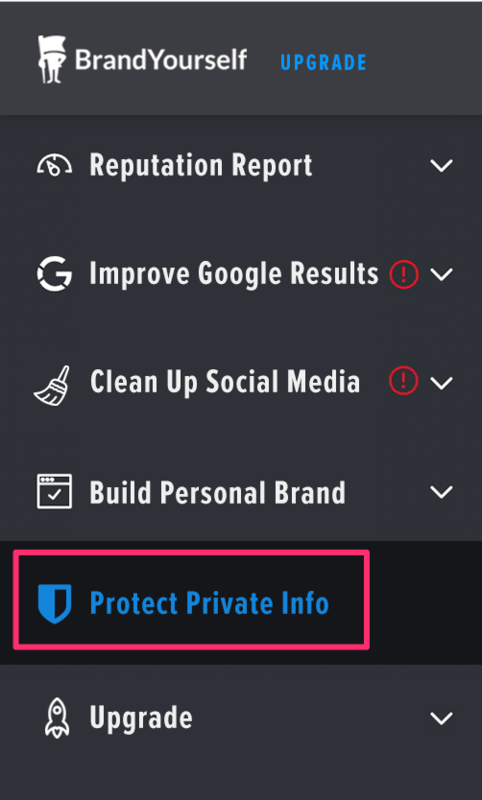 The protect private info section can be found on the lefthand navigation along with all your other tools. Click the “remove my private info” button to automatically opt out of Whitepages and other popular people search sites. Once you’ve done that our software will take the lead and submit removal requests to each of the sites on the list. Once that’s been done you can check back to see how each opt out request is progressing. To get started with this method sign up here. How do you secure a Whitepages opt out the manual way? If you’re fine with all that, here’s how to do things the old fashioned way. Opting out of Whitepages is fairly simple, you just need to follow the steps. They legally have to provide you with the ability to opt out or remove your name and information from Whitepages, so if you hit a dead end you probably just missed a step. We’ve gone through the entire Whitepages opt out process below, and will be updating it to reflect the most up to date images as we go forward. Click here to go to Whitepages and search for your full name. In order to find your listing accurately searching your full name gives you the best chance to find and remove your listing from Whitepages. Find the listing with your information and click “View Details”. Make sure you’re confident that this is the correct listing before moving forward. If there are two that seem the same you can go back and try the other one, just make sure you remember which you clicked on! It’s quite common for users to think they initiated the Whitepages opt out process on their listing, but actually did it on someone else’s. Spending the extra time here to be 100% sure you’re removing the right listing will save you time in the long run. Highlight the URL of the profile and right click to copy it to your clipboard. Click here to go directly to the Whitepages opt out form. It can be difficult to navigate to it from within the website so taking this link guarantees you will be on the right page. Paste the URL of the profile you had copied in step 3 into the opt out form field and click “opt-out”. In order to continue with the Whitepages opt out process you will need to make sure you are trying to remove the right listing. 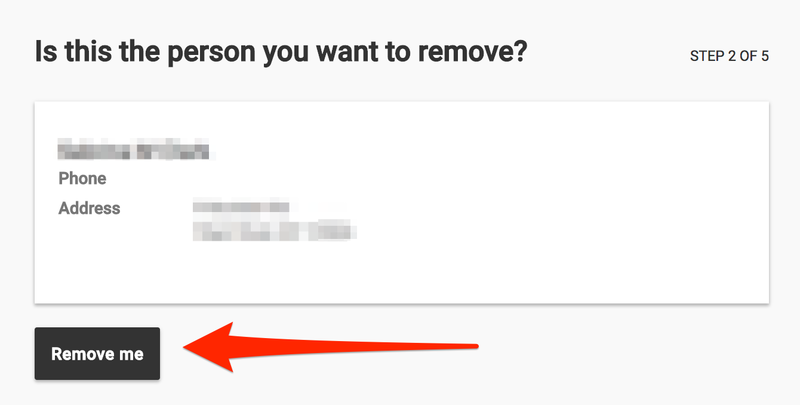 Verify that the name and information is correct and then click the “remove me” button. Provide a reason for why you want to remove your name and listing from Whitepages and then hit “Submit. 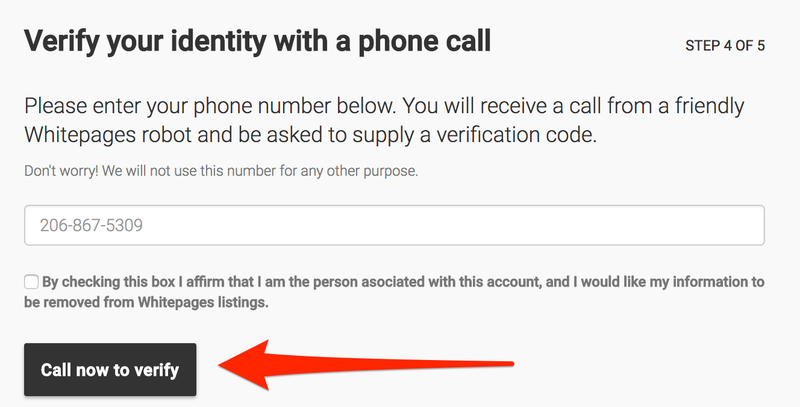 Provide a valid phone number (a phone you have access to at the moment), check the box affirming you want the information removed, and click “call now to verify”. Whitepages will auto-dial you with a verification to verify your identity with a phone call. This is a very important step in the Whitepages opt out process. You need to be ready for the phone call so you can secure the opt out. If you miss the call there is a chance that you will have to start the process all over again (some people have reported this issue) so play it safe and be near your phone! Pick up when Whitepages calls (it will be instantaneous) and provide the supplied verification code using your keypad. This completes your Whitepages opt out and there are no more steps to take on the site. It can take up to 24 hours for the listing and name to be removed from Whitepages’ website. 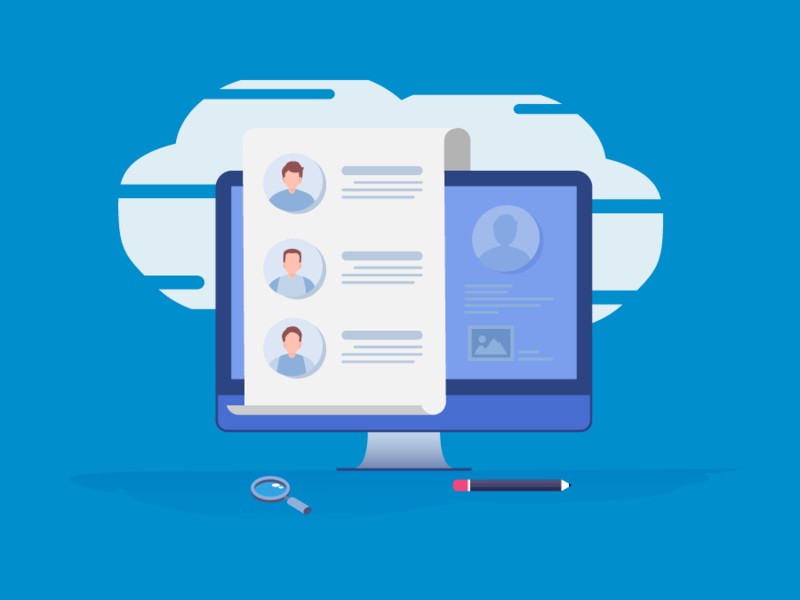 While opting out of Whitepages is a great step in the right direction, there’s a fundamental issue that still needs to be addressed. Whitepages isn’t the only information aggregator out there. As a matter of fact, there are a ton of them and more are popping up each day. This means that the information Whitepages pulled together for their listing can, and will be found by other sites. So what can you do to stop this from becoming an issue with another site? The answer is simple, monitor and control your search results. By monitoring and controlling your search results you can stay in front of the problem in a couple ways. With monitoring you will be aware of any private information that shows up on another website like Whitepages and you can follow their own opt out procedure (all sites have them). This way you can not only remove your name from Whitepages, but other sites as well. By controlling your search results you can protect you from multiple sites at onces. Most people look for information about someone in Google, and if you control your results that means they will not be able to easily find it. In order to do this we recommend that you sign up for our free reputation management software that will handle all of this for you. Make sure your Whitepages opt out was not in vain by protecting your information in the future!